Is CBD addictive or makes you high? CBD: Full Spectrum or Isolate? CBD dosage: how many drops should I take? Oil, vaporizer, flowers or capsules? CBD & Driving Licence & Job: Drug testing positive by CBD? 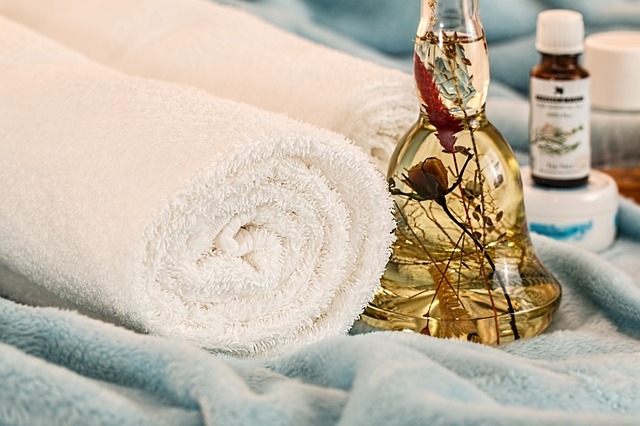 With the CBD industry introducing new products into the market at a rapid pace, the subject of transdermal CBD products has become the gist of widespread conversation. Among the most heavily debated of them is what exactly sets topical CBD products apart from transdermal ones. Understandably, confusion reigns supreme and few can tell the difference between them. Most CBD companies make ointments, lotions, salves, balms and crèmes. In fact, the entire CBD market consists of mostly topical products. Applied directly to the skin, these items penetrate only the top three layers of the dermis to affect localized healing. They do not pass through the skin to cells and tissues underneath and they do not enter the bloodstream. Topical CBD products have a myriad of health benefits. Not only do they heal wounds, pimples and other skin blemishes, but they also revitalize the skin and promote the regeneration of new skin cells. Even if you use an ingestible CBD product, such as oils or capsules, the result will be the same. You can even apply THC directly to the skin. It will not make you stoned or trigger positive drug tests. Although you also apply transdermal CBD products to the skin, they are very different to topical ones. According to the U.S. National Library of Medicine, they actually penetrate the skin to reach the tissues beneath, where the bloodstream absorbs them and carries them to all parts of the body. This means that transdermal CBD products do not only work as a localized treatment, but throughout the body too. Transdermal CBD products are notably more expensive than tropical crèmes. This is because making them completely absorbable by the skin, so that it crosses the skin barrier into the bloodstream, is an extremely complicated process. It requires special chemical compounds and emulsifiers to make CBD products transdermal. This is why transdermal CBD products are harder to find than topical ones. Your skin has both CB1 and CB2 receptors. These receptors bind to cannabinoids, such as CBD, when you apply them. When you use CBD topically, only localized receptors will activate. For example, you will not resolve a migraine by applying topical CBD products to your wrist. This is the only and unfortunate limitation of using topical products, regardless of whether it is a lotion, ointment, or bath salt. On the other hand, if you need the CBD to have a whole-body effect instead of just a localized one, then transdermal CBD products can help you. Although transdermal items also provide targeted relief, they actually get into the bloodstream to activate CB1 and CB2 receptors in the blood, which will carry the CBD to other areas of the body. This means you can apply a transdermal to your wrist for migraines. Most CBD products available today are topical crèmes and salves. If the label does not say explicitly that it is transdermal, then it is safe to assume it topical. Additionally, although transdermal CBD products can be lotions or ointments, most are not. Patches are the most common transdermal item, so if it is a patch, then it cannot be a topical. Furthermore, if the ingredients on the label list any emulsifiers or enhancers to increase permeability, then you are handling a transdermal product. If the instructions require application near veins or cleaning first with alcohol wipes, then it is also a fair assumption to call it transdermal. Finally, since topical CBD products are notably cheaper than transdermal ones, price can be the final clarifier. How Can CBD Affect Bipolar Disorder? 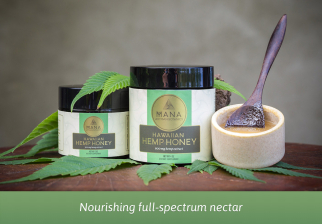 Lehua and Wilelaiki honey infused with phytocannabinoid-rich hemp extract. All statements made regarding the products on this website have not been officially evaluated by the Food and Drug Administration (FDA). The efficacy of these products has not been confirmed by any FDA-approved research. The listed products are not intended to treat, cure, diagnose or prevent any disease. All information presented here is not meant as a substitute for or alternative to information from health care practitioners. Please consult your health care professional about potential interactions or other possible complications before using any product. The Federal Food, Drug and Cosmetic Act requires this notice.